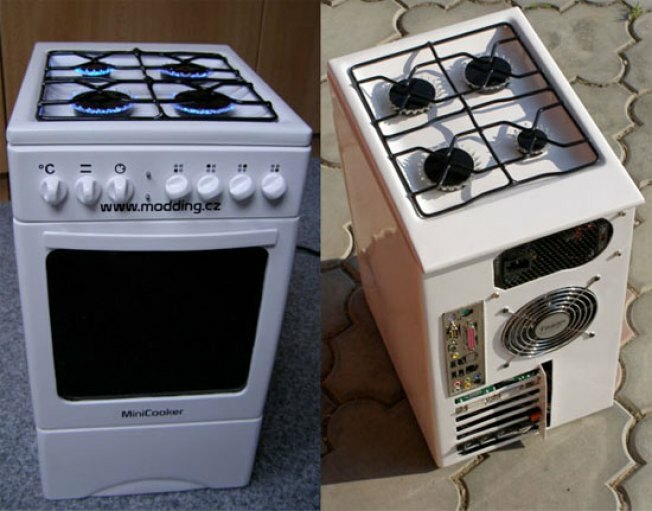 Why would you ever want to make a computer that looks like a stove? Well, why not? That's really the only reason I can think of. And now a Czech modder has done just that. The Project MiniCooker PC looks almost exactly like a stove, complete with LED "gas burners" that look real enough to cook some Kraft Mac and Cheese on them. So there you have it: a PC that looks like a stove. Finally!